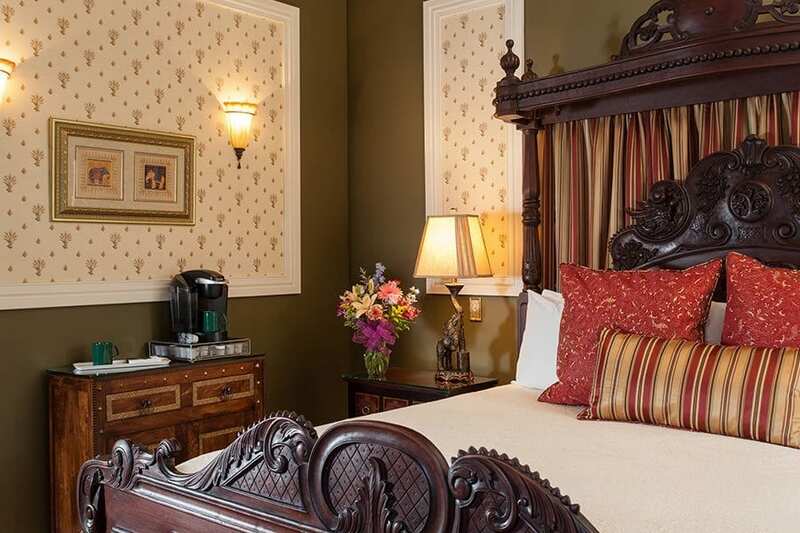 The Empress suite is named after Queen Victoria who was also the Empress of India. 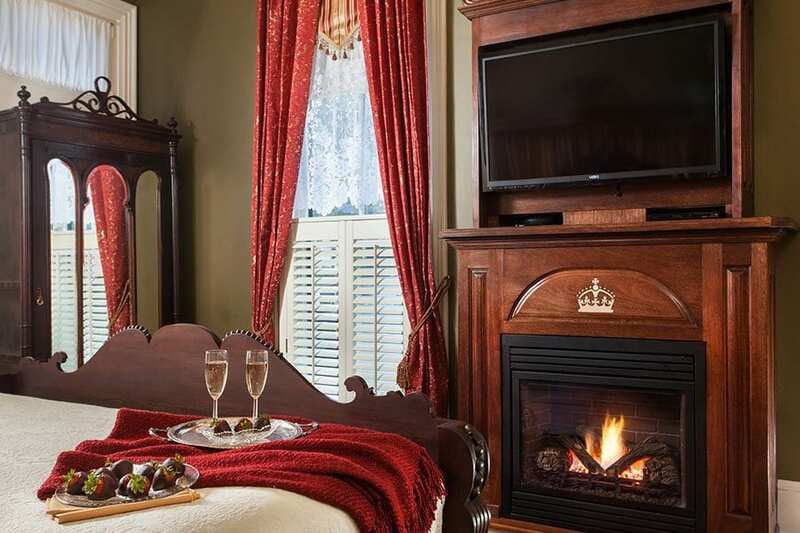 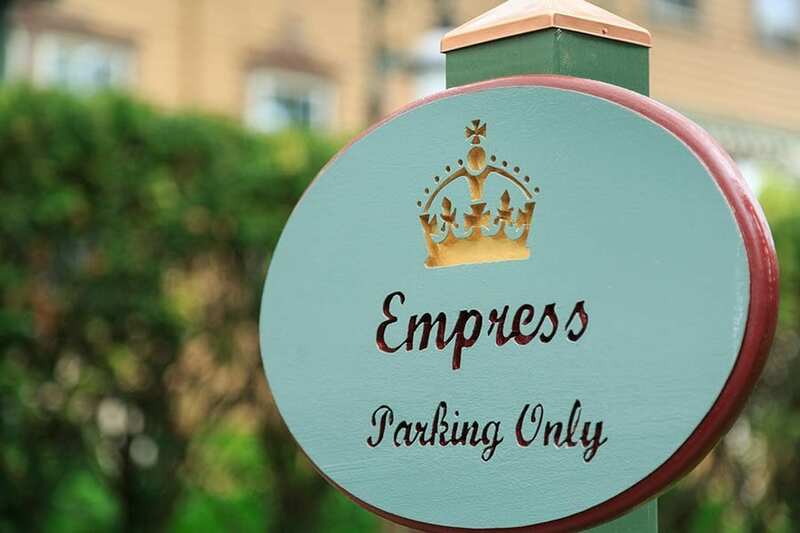 In the Empress you’ll experience a luxurious, slightly exotic atmosphere reminiscent of a suite Queen Victoria might have enjoyed in a palace in India. 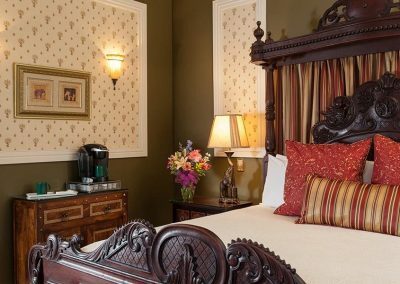 The room is decorated with royalty in mind. 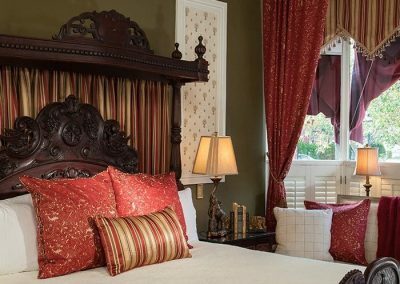 The magnificent king sized hand-carved mahogany half canopy bed, custom made draperies, plush sofa and towering floor to ceiling windows truly set the tone for your stay. 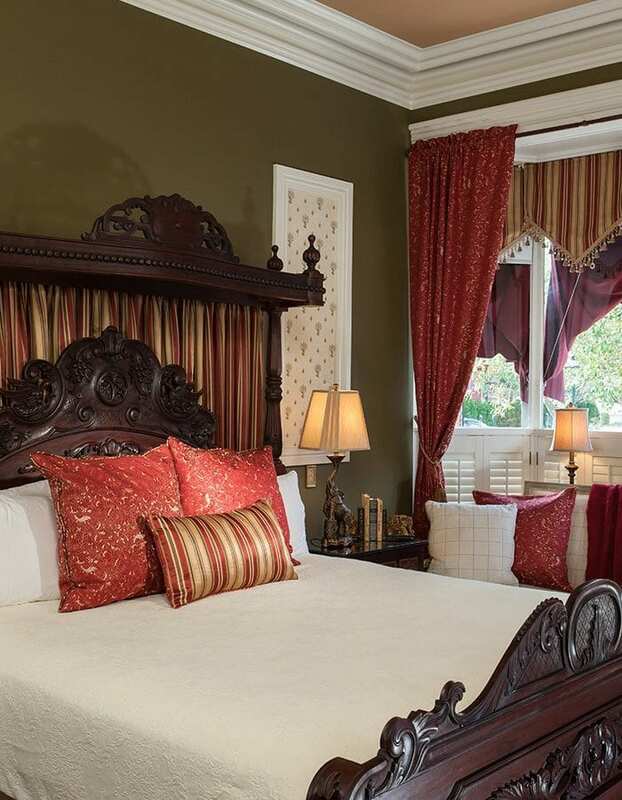 The interesting elephant lamps and traditional Indian chest lend authenticity and an exotic flair to the Empress suite. 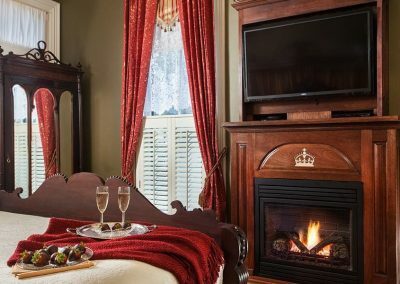 The custom built gas fireplace, 42″ high definition TV/DVD, Keurig Machine, refrigerator and individual climate control offer you all the luxurious modern amenities of the modern world. 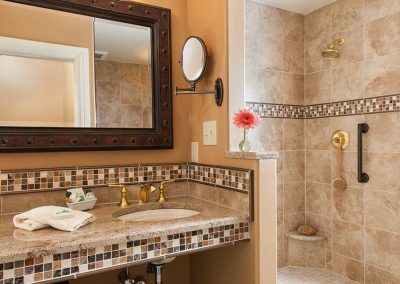 Step into the bathroom and you’ll feel like you’re in a spa. 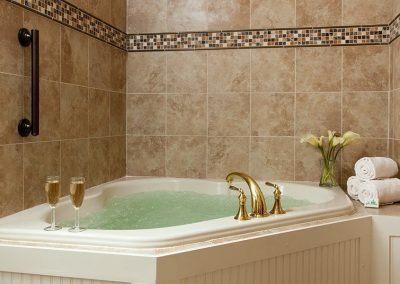 You’ll be amazed by the marble medallion set into the floor, which separates the luxurious 2 person bubble jet tub and the 2 person/2 head shower. 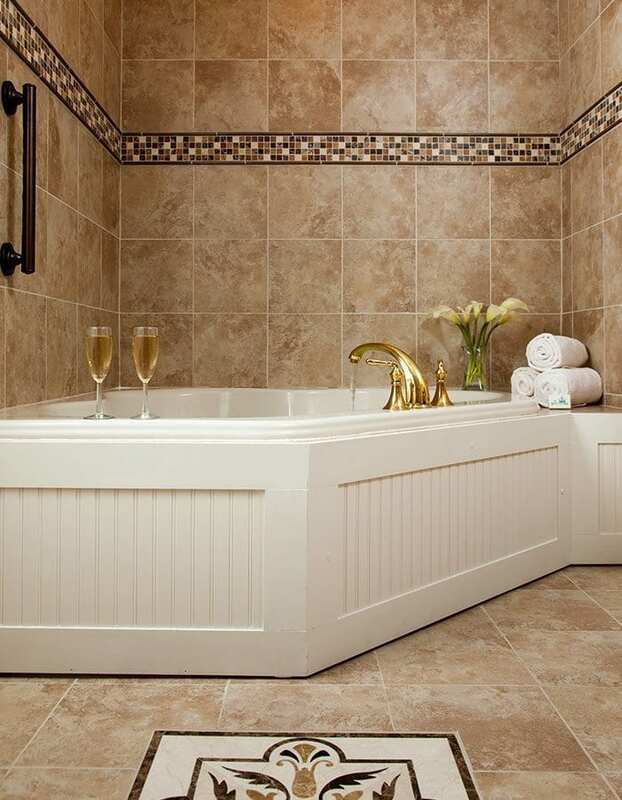 Appreciate the beautiful custom tile work throughout the room as you linger in the tub enjoying a glass of champagne with your special someone. 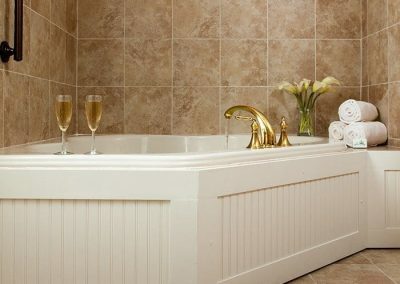 The spacious water closet provides the ultimate in privacy for your romantic getaway. 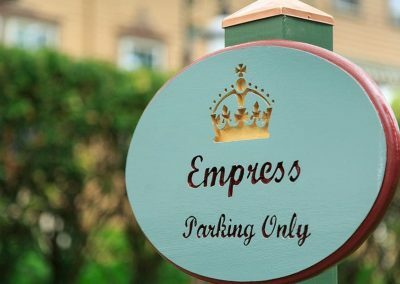 This is a room you won’t want to leave, but when you do go off exploring in Cape May, you can do so in confidence, knowing that your private parking space will be waiting for you upon your return.